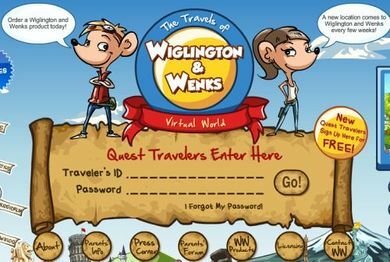 The Travels of Wiglington and Wenks was a MMORPG for children based off the series of British children's books of the same name. The game was initially released into open beta on November 8, 2009 by Singaporean company Swag Soft. The main story of the game revolved around helping misplaced historical figures figure out their lost identities. As such, the game had a major focus on history and geography, with a lot of the minigames, objects, and quests in the game relating to said subject. 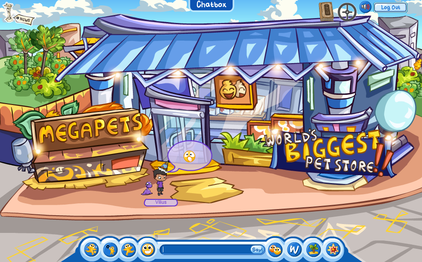 Much like other MMORPGs, the game had a more commercial/entertaining aspect to it as well; the game's currency, "rollers", could be used to buy clothes, furniture for your house, Frebos (a flying pet, likely Wiglington and Wenks' answer to Club Penguin's puffle), etc. Some of these features were limited to premium members only. 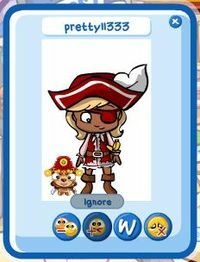 The game was unique from other kids' MMORPGs such as Club Penguin in that it also had a forum (which is now lost due to the fact that you had to sign in to see any of the posts), as well as giving underage users who proved themselves trustworthy moderator ("Party Master") powers on the site. While the game was open, it received much acclaim from parental websites, receiving a 4-star rating from Common Sense Media, the "Parents' Choice Approved" seal, the Mom's Choice Award, and making Disney's FamilyFun's list of "Top 10 Fun Websites". However, due to a lack of funds (the game offered premium membership, but didn't run any actual advertising), the game was closed in 2011. The website is still open, and the developers have posted publicly that they want to talk with any organization or company that would be willing to fund the game's reopening. As of now, the game is closed/lost indefinitely. An image of the game's winter/launch party in 2009. The pet store, which sold Frebos. 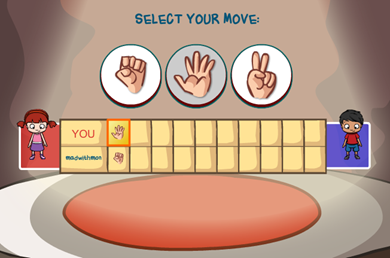 An image of one of the minigames (Rock Paper Scissors). An example of a player card.